Travel Insurance can protect you before you travel as well as during your well deserved vacation. It provides you with security in case of unexpected events such as health issues, accidents, travel issues and more. 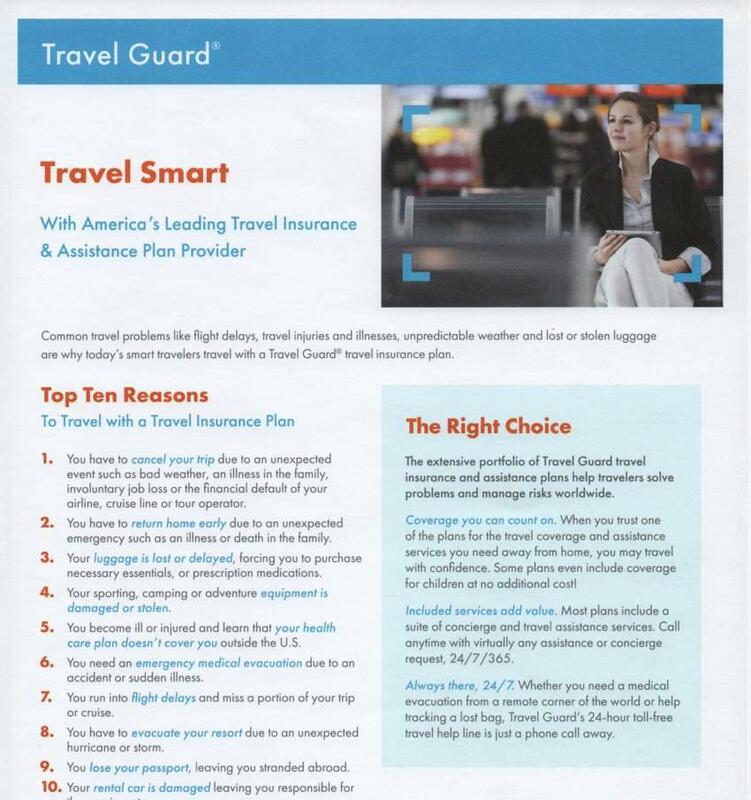 We recommend Travel Guard insurance and have provided their 10 Reasons to Purchase below. Kindly review and contact us for pricing and to arrange.